SHINTO, GUNMA PREF. - Engineer Masaaki Nagumo had always dreamed of suiting up as a robot from “Mobile Suit Gundam,” his favorite animation series growing up. Now he has made it a reality by creating a giant humanoid inspired by the science fiction franchise. 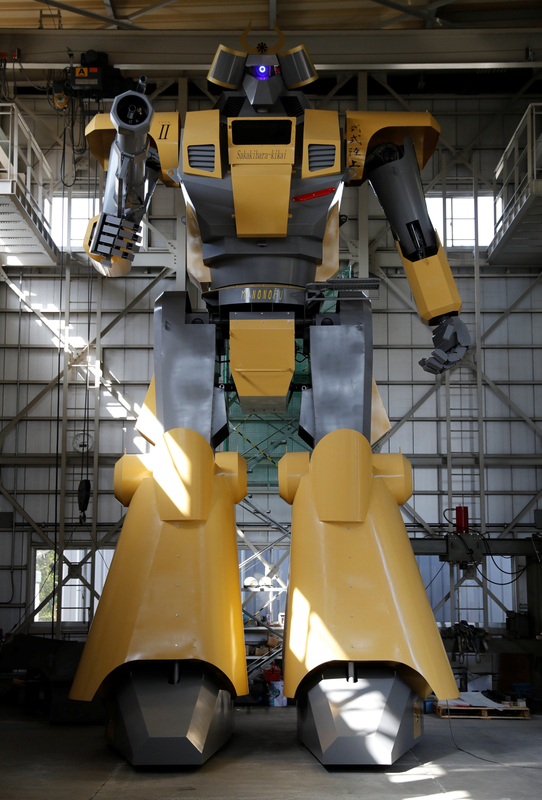 Developed by Sakakibara Kikai, a maker of farming machinery based in Gunma Prefecture, LW-Mononofu is an 8.5-meter (28-feet) tall, two-legged robot weighing in at more than 7 tons. It contains a cockpit with monitors and levers for the pilot to control the robot’s arms and legs. “I think this can be turned into a business opportunity,” said Nagumo, 44, noting the popularity of the iconic series that has spawned movies, manga, video games and more. 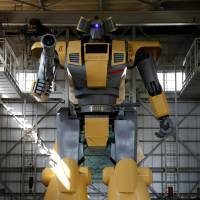 Sakakibara Kikai has developed other robots and amusement machines alongside its main agriculture equipment business and rents them out for about ¥100,000 ($930) an hour, for kids’ birthday parties and other entertainment, he said. The company has created robots as varied as the 3.4-meter tall Landwalker, the smaller Kid’s Walker Cyclops and the MechBoxer boxing machine — but the mighty Mononofu towers over them all and executes more complex movements. It can move its fingers and turn its upper body, and walk forward and backward. It is no speedster, however, moving at less than 1 kph. But what it lacks in pace, it makes up for with power: The bazooka-like air gun on its right arm shoots sponge balls at around 140 kph (87 mph).